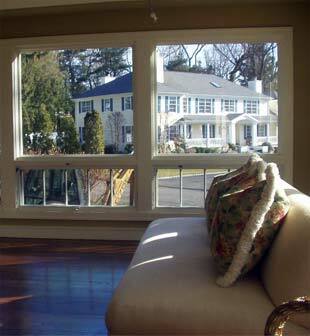 Window films create a layer of protection between you and your windows. 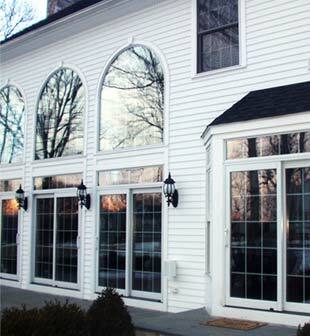 Window film traps heat in during the colder months and keeps heat out during the warmer months saving you money. With window tint installation you will be able to stop squinting and comfortably look oustide. Tint percentages range from clear to blacked out. Residential and commercial window film provide much needed safety & security from strong storms, dangerous exsplosions and shattered glass. 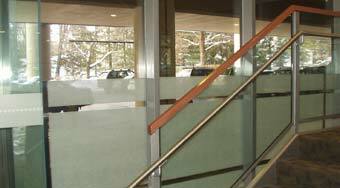 Privacy is accomplished in bathroom settings or offices through the use of frosted film. Film is perfect for when curtains or blinds are not possible or desired. To achieve a more unique look we recommend decorative window films. 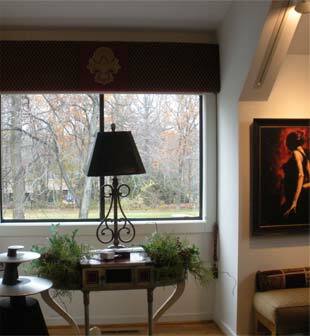 Custom shapes, graphics and colors can be chosen to accent any room. Robin McGarry, an ASID interior designer, advocates the use of UV filters and recommends Essential Glass Coatings. Forget about the dark, purple, bubbled window films of the past. Panorama Sterling Window Films are prized by the design community for their clarity and neutrality. These designer films provide subtle beauty, many people don't even realize that it's on the glass, they just enjoy the endless benefits. Panorma Films lets your windows do what they were meant to do, allowing in plenty of natural light and maintaining a clear, unobstructed view. It simply works by rejecting the harmful and undesirable elements that windows alone cannot filter out. Not to mention the damage you might otherwise experience such as extreme fading of furniture, woodwork, carpeting, and draperies. Panorama Films reject up to 99% of destructive ultra-violet light, helping to preserve the value of your property.